Fire ravages Norwegian village Jump to media player Residents of a heritage village in southern Norway have been evacuated after a raging fire broke out, threatening its unique wooden buildings. 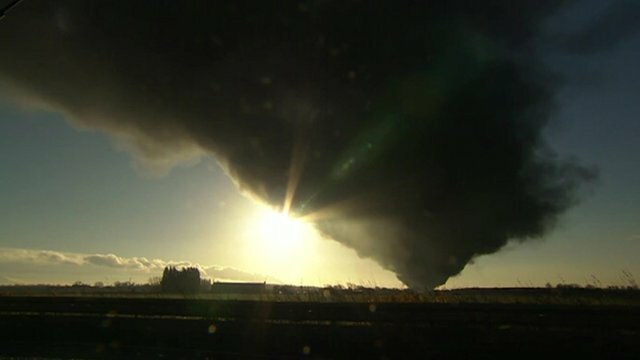 Tyre fire smoke plume reaches 6,000ft Jump to media player A fire involving 15,000 tonnes of tyres at a recycling plant has sent a plume of black smoke into the air and caused flights at an airfield to be grounded. 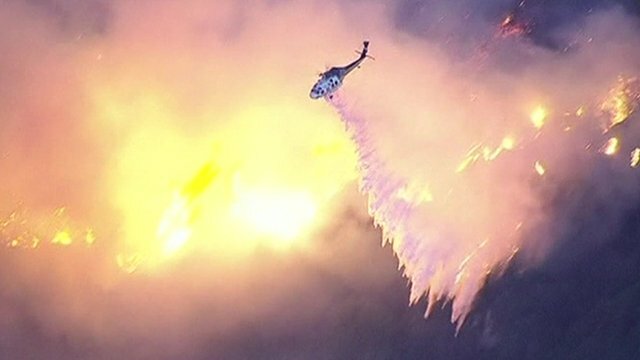 Three held over California fires Jump to media player A wildfire in Southern California's San Gabriel Mountains has forced the evacuation of 2,000 people, officials say. 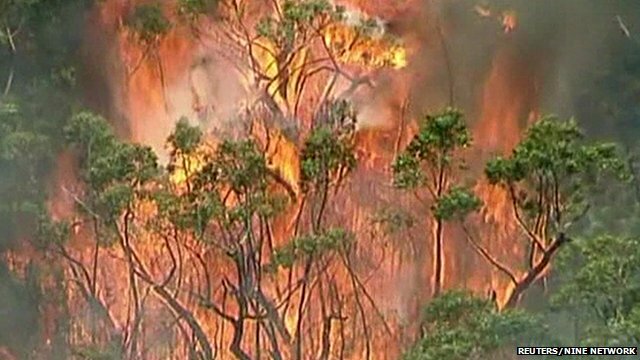 Bushfires rage in Australian heatwave Jump to media player Australian firefighters are tackling fast-moving bushfires as the heatwave in South-east Australia continues. 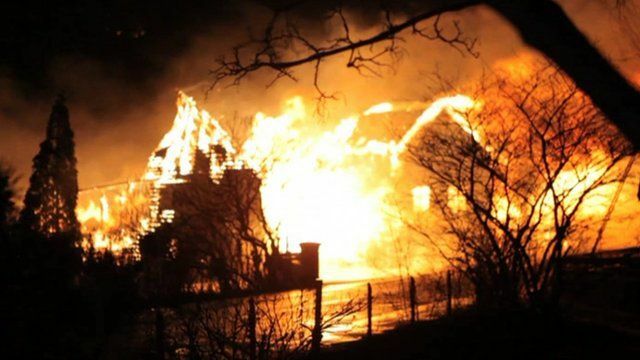 Residents of a heritage village in southern Norway have been evacuated after a raging fire broke out, threatening its unique wooden buildings. Flames spread rapidly after the fire began overnight in a house in Laerdalsoyri, a village of 1,150 people in Laerdal, on Sognefjord fjord.